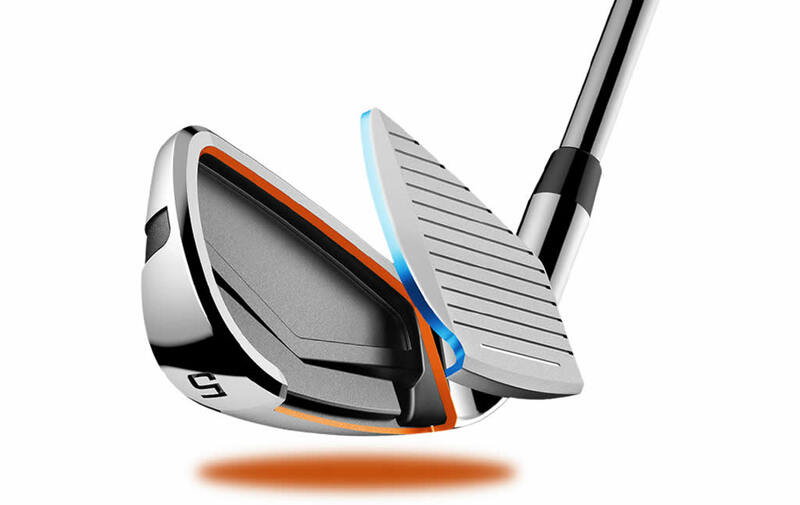 Available in a variable length version for exceptional distance, and in a one-length version for superb consistency in every swing, the Cobra king f7 irons will meet and surpass all of your golfing needs. The KING F7 ONE Length irons were inspired by the brand’s relationship with PGA Tour Professional Bryson DeChambeau, and so they flaunt the very same TECFLO builds as the KING F7, as well as the amazing Precision Milled Grooves and PWRSHELL Faces. This set comprises constant 7-iron lengths, with each head being re-engineered in order to improve its geometry, which translates to incredibly optimized trajectories and distance gapping. As for the Variable Length models, they also use COBRA’s TECFLO construction, as well as PWRSHELL faces and T.O.P Technology for a lower center of gravity. The set includes four different clubs, such as the 3i-5i Full Hollow, 6i-7i Half Hollow, 8i-PW Cavity Back and GW-SW Specialty. Each one was designed to perform differently in order to allow you to perform at our best no matter the situation.